Well, well, well. Jack Johnson is in the news a lot lately, isn’t he? Let’s take a look at the man behind the headlines. Also note that all these pictures are outdated now because, as of this writing, he has not yet played for his new team. Anyway! Johnson started out as a student at Shattuck-St. Mary’s and was drafted in 2005 by Carolina, but decided instead to go to the University of Michigan. He stayed there when the Hurricanes needed a defenseman, so they traded his rights off to the Kings. Johnson played just one more season–well, part of one–before making the leap to the NHL in March 2007. His first point came as an assist in October 2007 and his first goal was later that month against Roberto Luongo. Johnson missed much of 2008-09 after suffering a shoulder injury, but he returned for 2009-10 in ship shape, scoring eight goals and 28 assists. 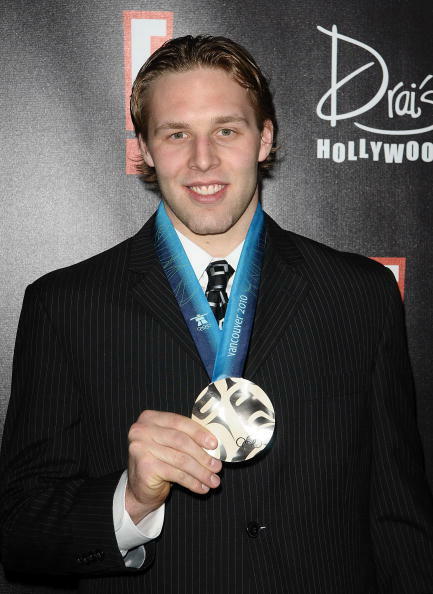 He was also named to Team USA at the 2010 Olympics and won a silver medal as well as marching in the opening ceremonies. That’s not the first time he’s represented America internationally, though–he played in the 2004 and 2005 U-18 World Juniors, the 2006 and 2007 World Juniors and the 2007, 2009 and 2010 Worlds. At the 2010 Worlds, he captained Team USA. In January 2011, he signed a seven-year extension with Los Angeles. That season, he played all 82 regular-season games, scored five goals and got 37 assists. 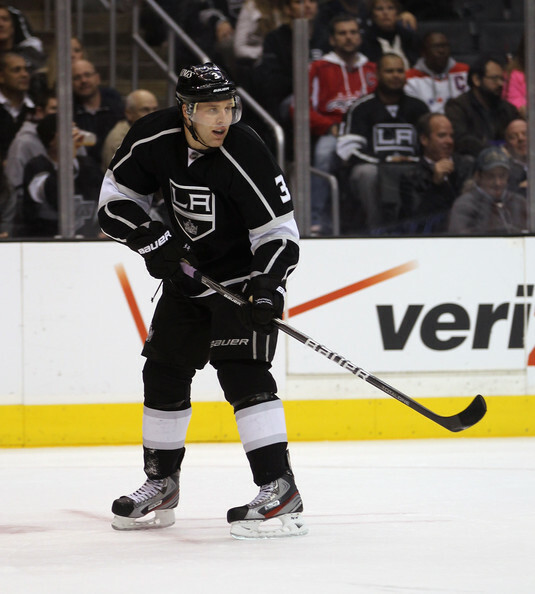 However, on February 23 of this year, he was traded to Columbus along with a conditional first-round draft pick in exchange for Jeff Carter. 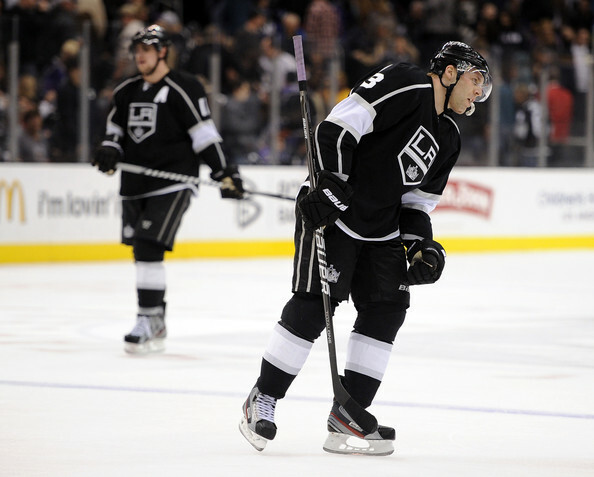 Carter now joins old teammate Mike Richards out in LA while Johnson will continue to be America as a Blue Jacket.